The river dividing Thrace between Greece and Turkey today was known in antiquity as the Hebrus River – the Evros in Modern Greek, the Meric in Modern Turkish, and the Maritsa in Slavic languages. A sleepy backwater today, its appearance gives no hint of its historic vitality. 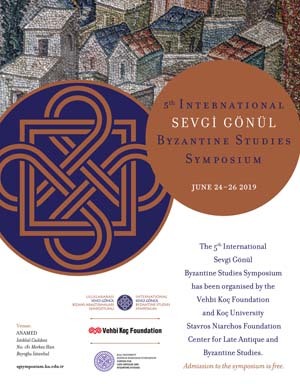 In contrast to its current, liminal situation, throughout the Byzantine period (330 -1453 CE), the valley maintained close cultural connections with the nearby Byzantine capital Constantinople, for which it figured as an important hinterland. Until the nineteenth century, in fact, the river functioned as a thoroughfare, the major transportation artery from the north Aegean Sea into Thrace, connecting to the chief regional city, Adrianopolis (now Edirne, Turkey), with river-going vessels traveling as far inland as Philippopolis (now Plovdiv, Bulgaria).